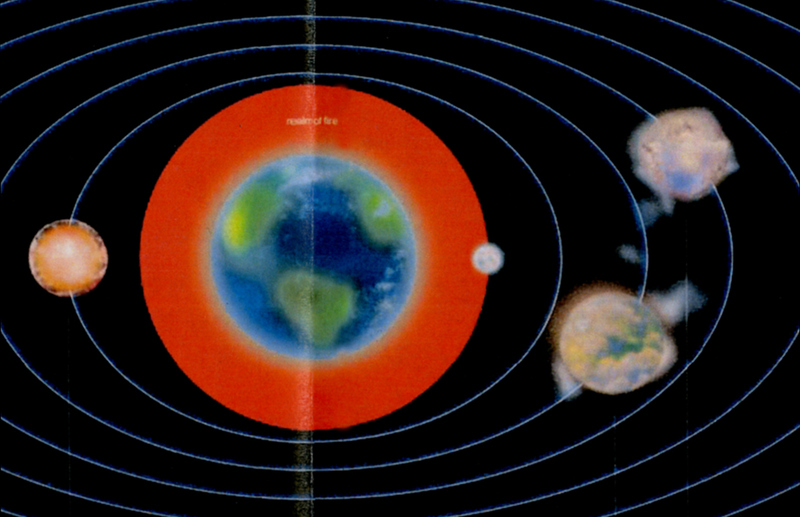 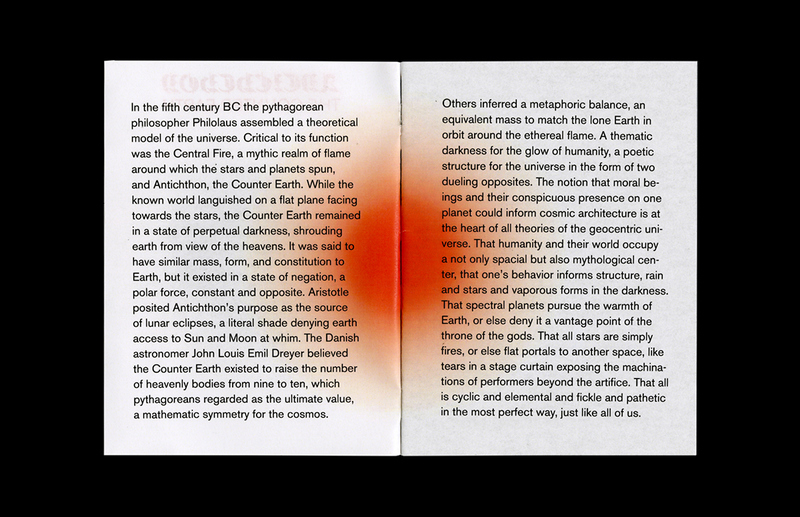 A zine cataloguing geocentric models of the solar system and the Greek scientists who conceived of them. 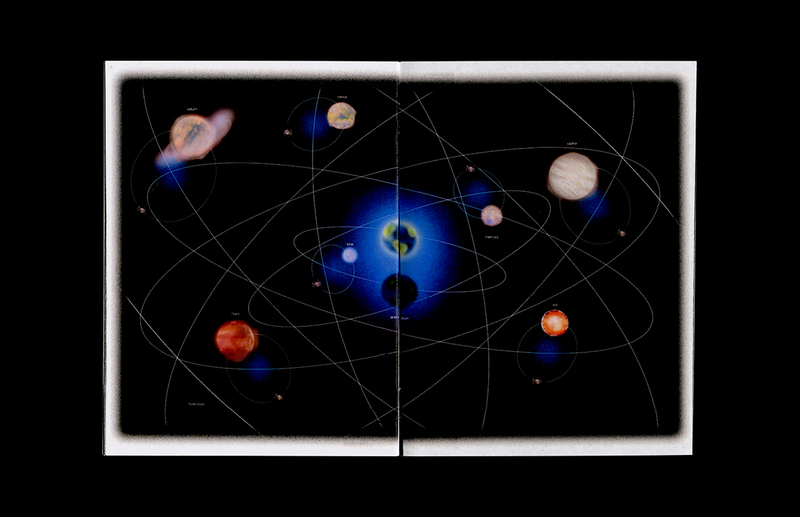 Classical armillary spheres are reinterpreted through the lens of PC video game box artwork. 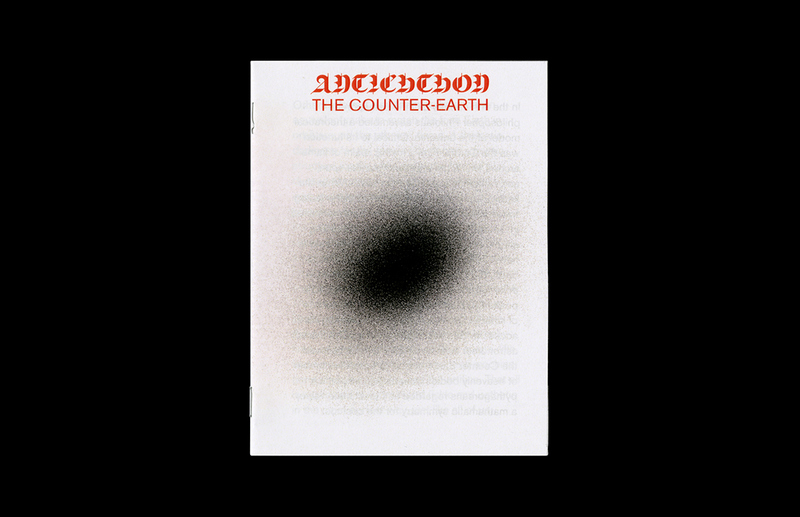 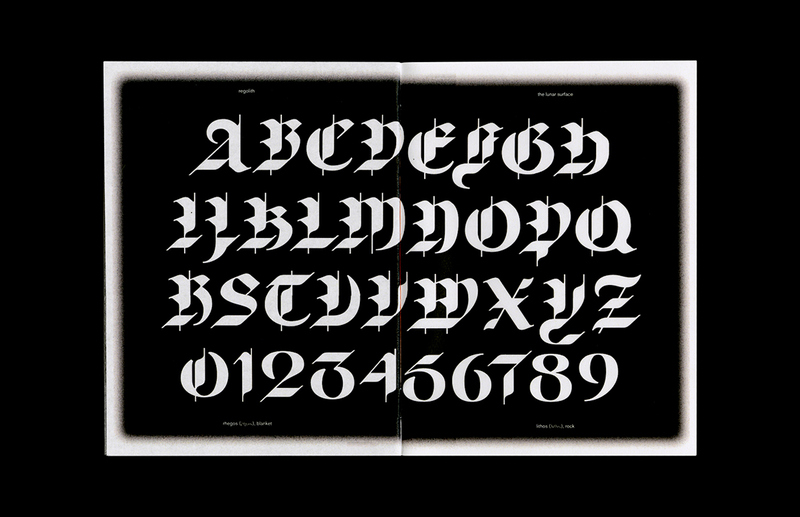 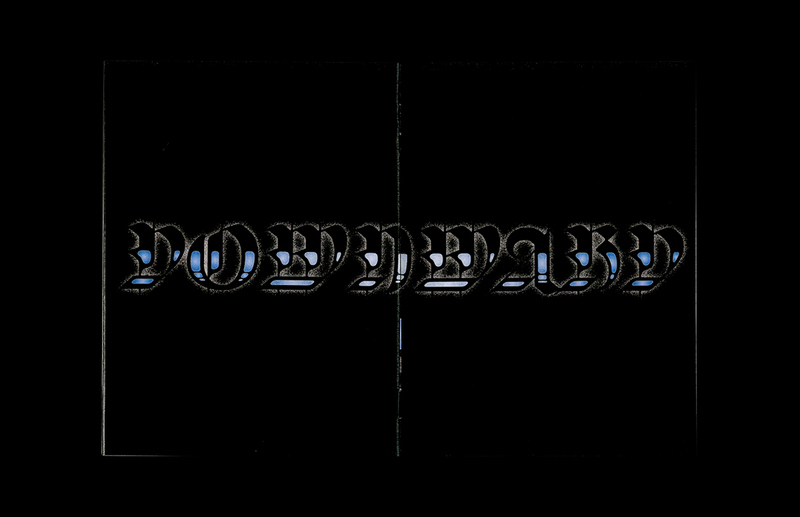 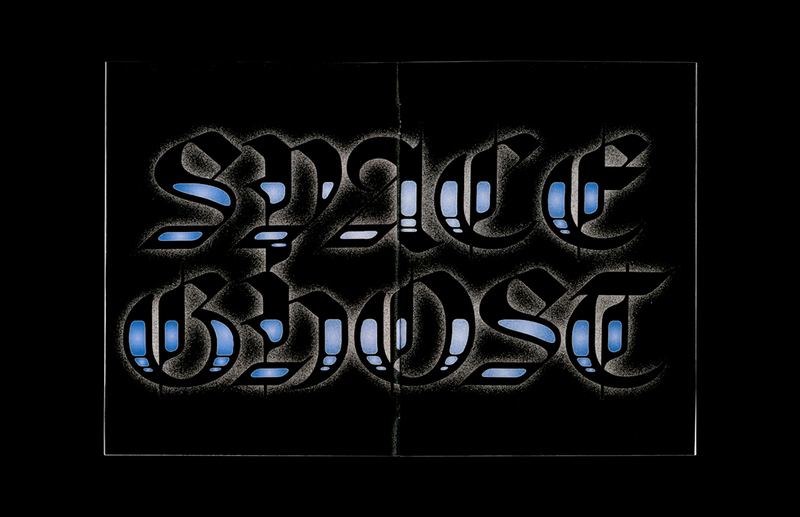 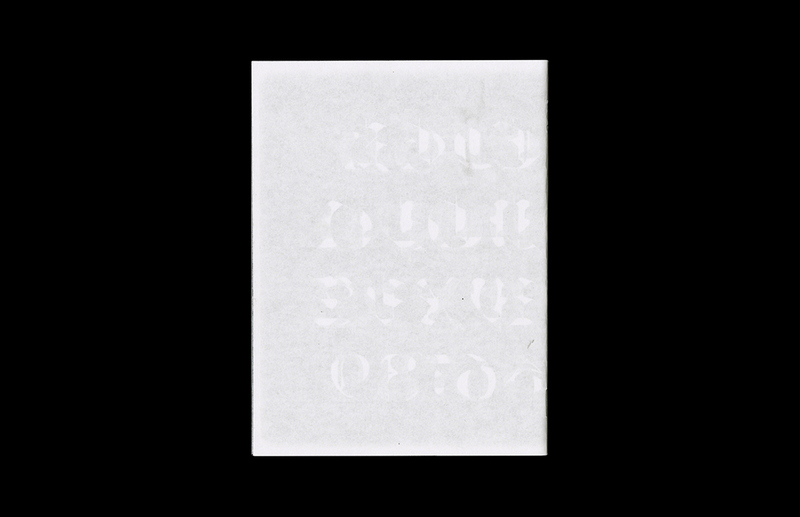 The publication doubles as a platform for release of a personal blackletter face Regolith, combining the modular letterform construction of the broad edged pen with the space-age curves of the raygun gothic era. 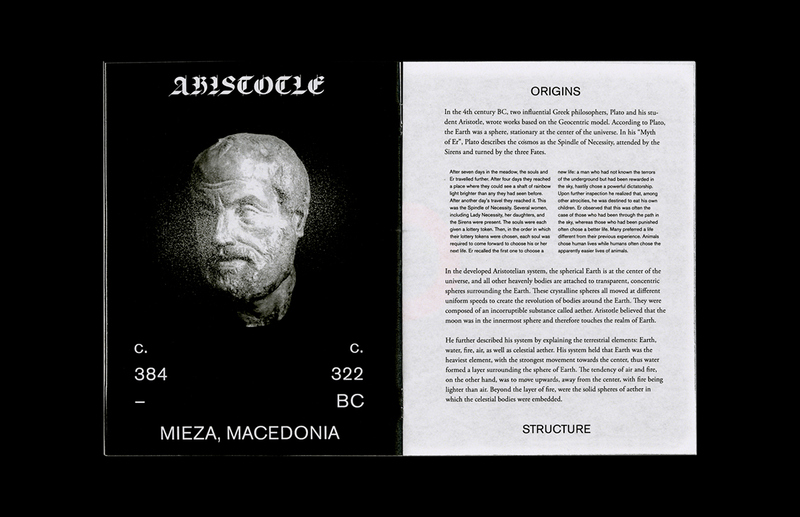 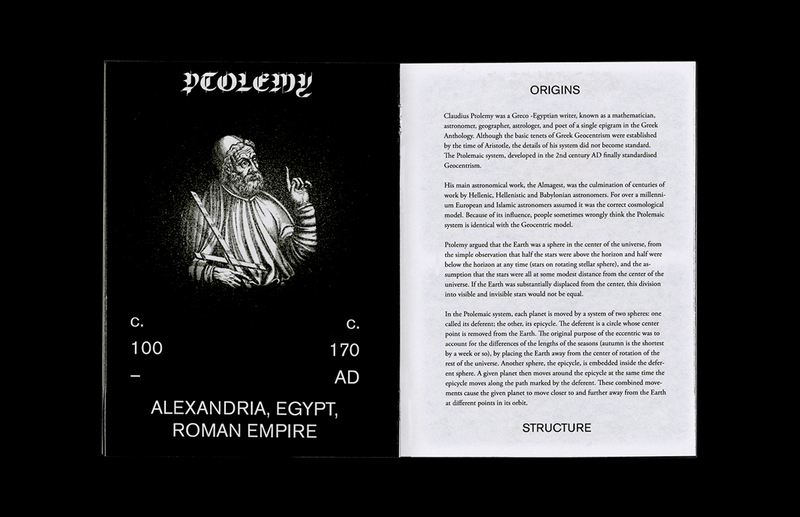 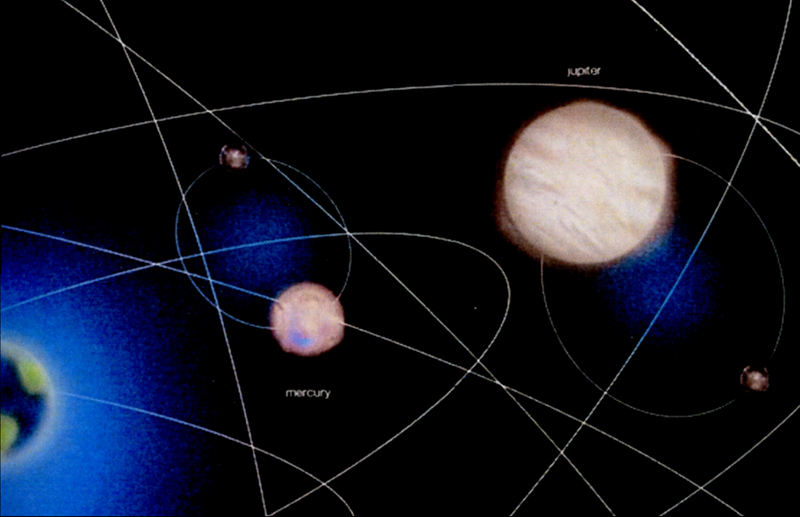 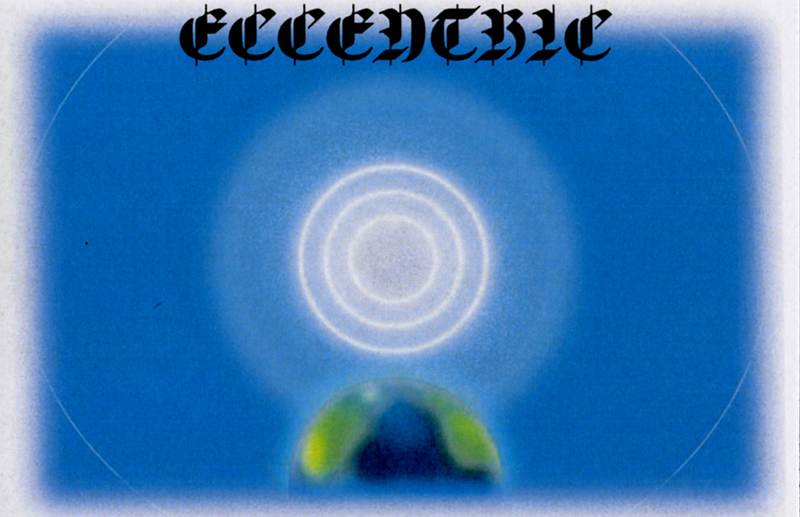 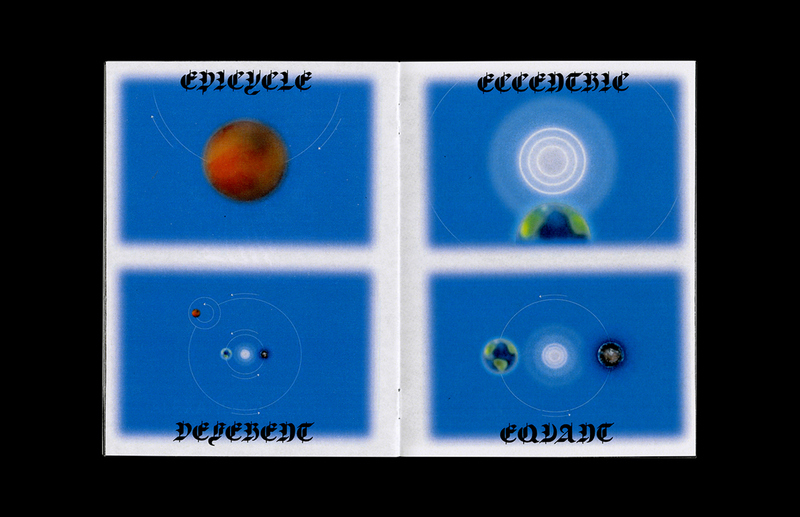 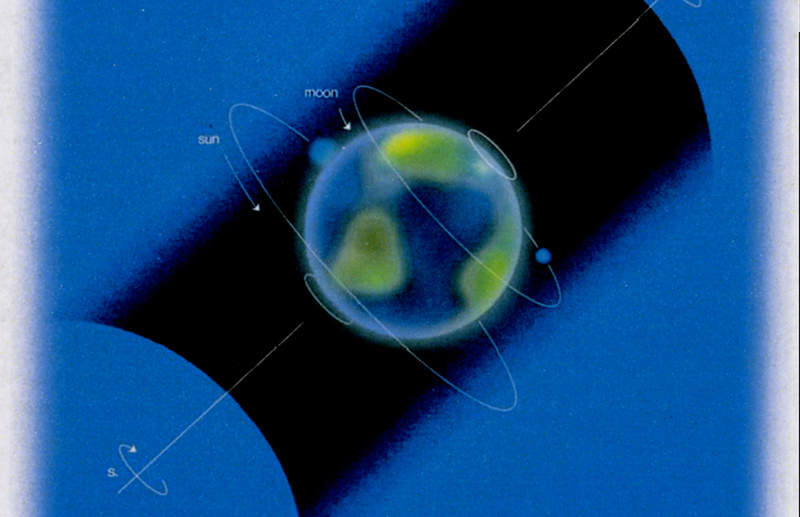 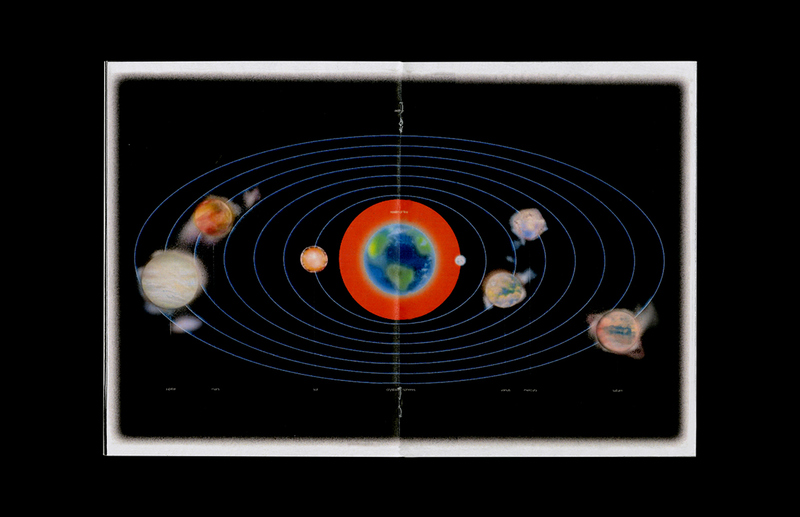 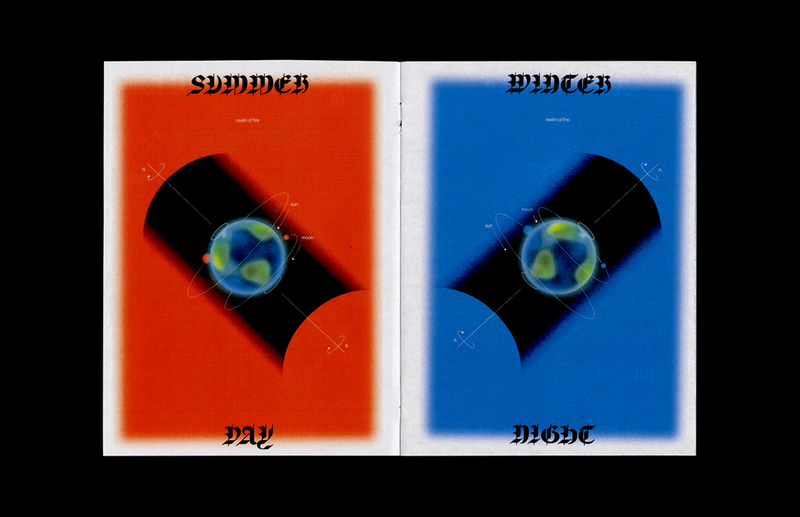 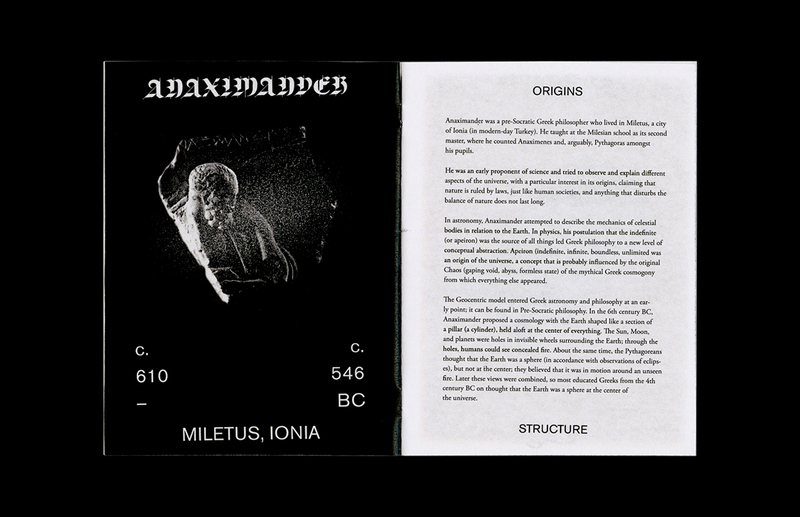 Zine documenting ancient Greek models of the geocentric solar system.